If you're a teacher or administrator, you're bound to encounter an English Language Learner at some point in your career. 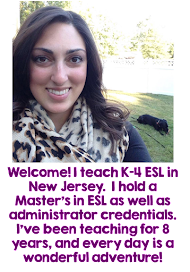 In New Jersey alone, 5 out of 6 districts have ELL's in their schools, and 1 out of every 20 public school students is an ELL. 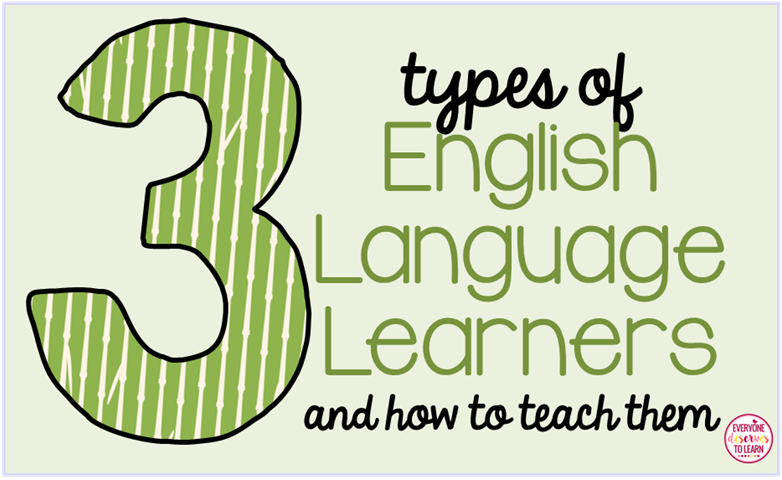 However, the title "English Language Learner" can mean many different things, and it's beneficial to understand the differences so you can best meet the needs of your learners. 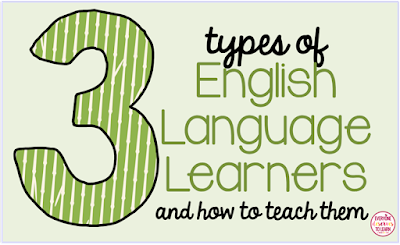 According to researchers and experts in language acquisition, there are three types of English Language Learners. I'd like to break them down for you in teacher-friendly terms. These are the students who were born in the US (or emigrated at a very young age) to parents who speak languages other than English. They may have started kindergarten in an English-speaking school, and/or have English-speaking family members. These kids can fool you with their social fluency, but might struggle for many years to become fluent in academic vocabulary, often performing below grade level on standardized tests. These students may also have a greater understanding of American culture and customs due to exposure and environment. 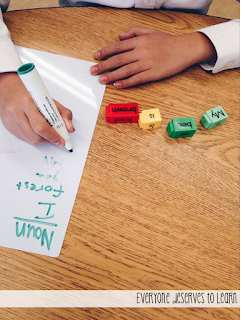 Teach these students strategies to overcome gaps in proficiency, such as cognates, colloquialisms, and understanding vocabulary in context. These students will be ready for more intense grammar work; and subject-verb agreement is something many of my long-term ELL's struggle with daily. Engage with parents from an early age to promote home-based literacy, such as sharing bilingual books and reciting cultural fables and folk tales in their native language. 2. Newcomers with a strong literacy background in their first language. These students may have recently arrived to the United States, but they most likely will have attended some sort of formal schooling. Students like these often have educated parents, as well. These children will struggle at first with language and concepts, but may surprise you with how quickly they make strides. These students often learn social language first, but pick up academic language skills quickly, especially if you can relate it to their home languages. Take advantage of the literacy background these students have, and use their cultures to help them develop confidence and fluency in speaking. Some students may remain in the silent period for a time, but continue to engage them in level-appropriate activities across all content areas, with a focus on vocabulary acquisition. 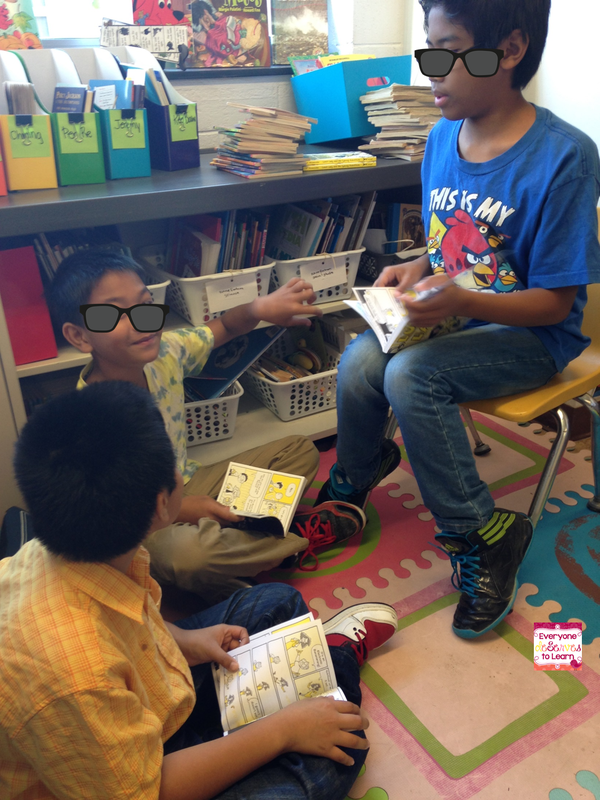 Reader's Theater is a great way to build fluency, prosody, and confidence in speaking and working with native English speaking peers. 3. Newcomers with a low literacy background in their first language. These children, who have arrived recently, may have never attended any sort of school, or have experienced an interruption in schooling. They most likely have a low first language proficiency level. Their parents may or may not be educated in their first language as well. These students often experience a greater sense of culture shock than the ELL's described above, as they are entering the formal education system, which may be a stark contrast to their previous life. They may remain in the silent period anywhere from 6 weeks to 6 months, depending on the student.The achievement gap will seem extraordinarily wide, but with patience and persistence, these students will acquire enough language to converse with their peers. It might be hard to figure out what these students know and don't know, in terms of both concepts and language. My best advice is to start at the very beginning, with basic survival English. Strategies such as Language Experience Activities, targeted speaking activities, fluency practice and visual writing prompts will help them gain proficiency in all language domains. I've written a Newcomer Curriculum guide that may help you as well! My school had a really large number of low-L1 literate newcomers for several years, but our population seems to be shifting, We're receiving more long-term ELL's (the brothers and sisters of our earlier immigrants). This has caused us to re-evaluate our program methods and practices. It's helpful for us to understand the differences in backgrounds of our students so that we can plan accordingly. I hope this is helpful for you, too!